The training function in human resources covers many bases. Training involves everything from new employee orientation to leadership training for seasoned employees. 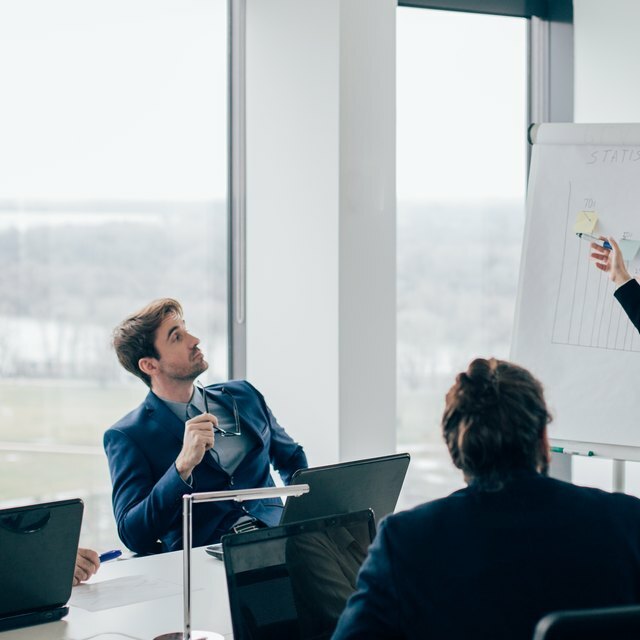 According to the Society of Human Resource Management (SHRM), training and development plays a large role in the overall success of an organization. Hiring good people and training them to be the best they can be, helps retain employees and creates a productive workforce. New employee orientation is an important part of the hiring process. It prepares the employees for new roles, and acclimates them to the company. According to SHRM, employees who go through an orientation process feel more connected to their job. The focus and length of orientation sessions are often determined by the employees' positions in the company. While hourly employees may be in orientation for one day, manager-level employee orientation can last up to two weeks. Compliance training is highly recommended by the U.S. Department of Labor. This encompasses workplace violence, sexual harassment, drug and alcohol, and safety in the workplace. This training assures employees know how certain situations are handled. Policies and procedures are outlined, and the consequences are clearly spelled out. Offering this type of training puts employees on alert, and helps the company avoid costly lawsuits. Offering leadership training helps the workforce grow. It prepares employees for the challenges of management, and begins the succession planning process. Succession planning helps fill high-level positions by molding current employees. Retirement is inevitable, and some positions are difficult to fill. Succession planning allows employees to train for certain roles, and when the time comes, they can successfully fill the vacant position. Training and development also deals with employee career planning. Counseling employees is an effective way to determine their career goals, and can help them remain a part of the organization for years to come. Companies that offer career counseling show they care about their employee's future. According to SHRM, career counseling is an important component of succession planning. A large component of the HR training function is research. Skill development programs are ever-changing. Conducting research should be an on-going training activity. It will assure the programs are fresh and relevant. Assessing the needs of incumbent employees will better shape them for future success. This, in turn, guarantees the success of the company.